Call or fill out our form today to schedule your FREE INSPECTION* and consultation to see which treatment is right for you. 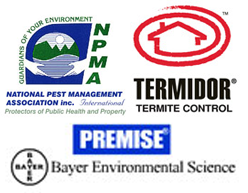 As always with Care-Free Termite Protection, LLC, there'll be no obligation or pressure to buy -- just honest answers to your termite questions. Our business is built on honesty & integrity!